Forced ventilation units to suit the AmTecs range of motors. These units are normally used when the motor is running at low speeds or a feedback device is fitted in place of the motors integral cooling fan. This Force Ventilation unit allows extended running at low speed with out causing the motor to overheat. 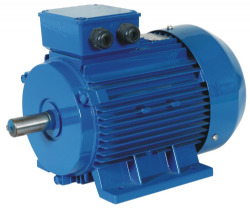 Suitable for use with AmTecs IEC Frame motors 63 - 355.